​Safety decals and labels save lives. Decals and Labels considered the last line of defense before someone gets injured. 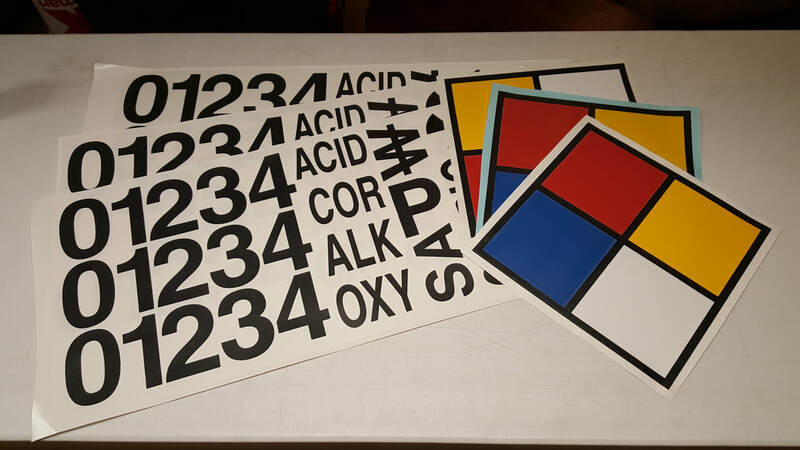 We offer caution labels, danger labels, notice labels, safety first labels, custom safety labels, ANSI safety labels, Arc flash labels, biohazard labels, chemical labels, DOT HazMat labels, electrical hazard labels, electrical safety labels, GHS labels, hazardous waste labels, high voltage labels, HMIS-HMIG labels, ISO safety labels, ladder safety labels, laser warning labels, machine safety labels, OSHA safety labels, pinch point warning labels, SDS labels, and voltage labels. Fill out information below regarding which safety decal you are interested in and we will get back with you shortly with a quote. ~ Durable. We offer laminated labels with drum-grade adhesives thus your labels can withstand chemicals and abuse. ~ Compliant. We offer suitable symbols that are designed to be OSHA & ANSI compliant. ~ Effective. We offer a specific label with your exact instructions as that is always considered the most effective.